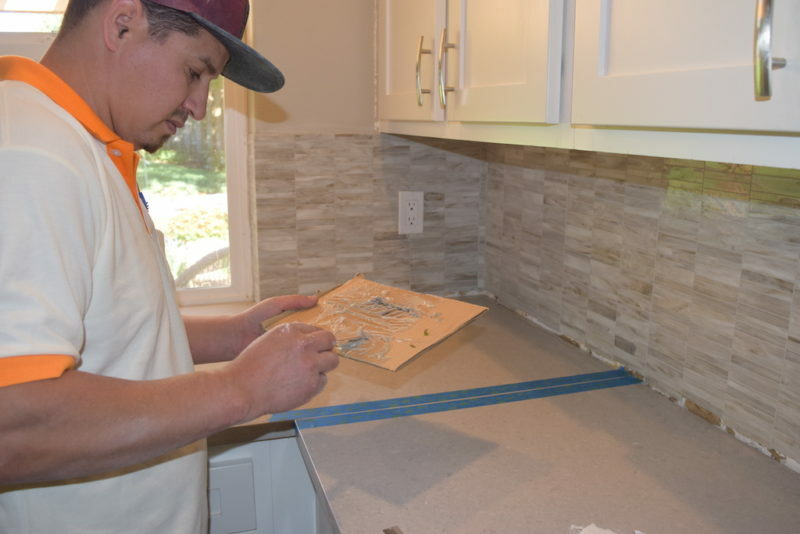 Generally, the sealing of stone countertops can be divided into two main categories. First, the sealing of porous materials and second, the sealing of solid, quartz, and nonacid reactive stone. Depending on the type of surface being sealed, the processes for cleaning and sealing differ, as does the aftercare. 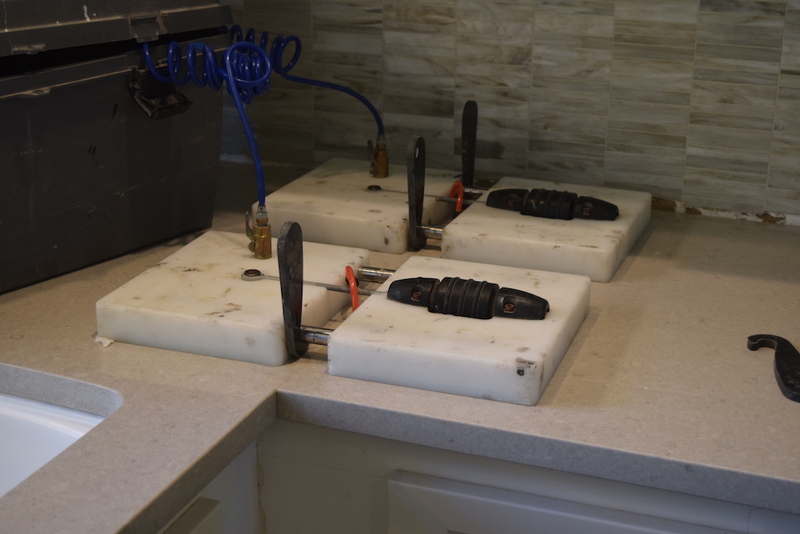 Marble and other porous countertops begin with cleaning the surfaces. 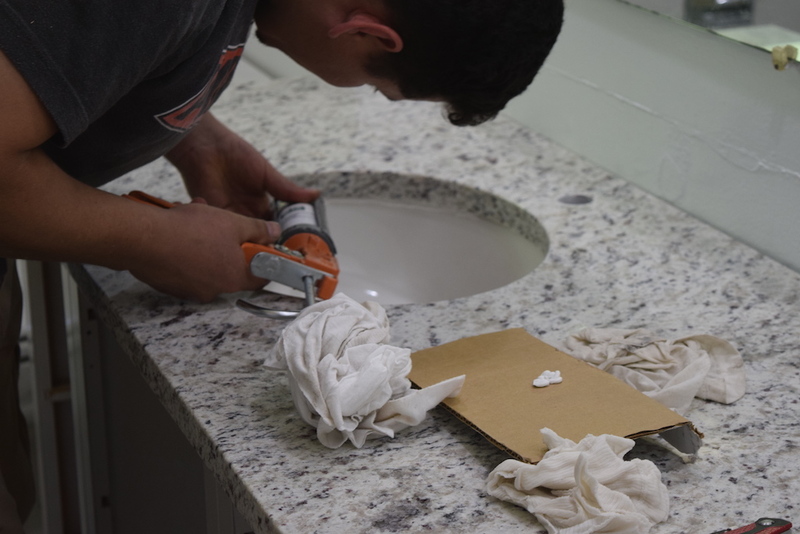 When working with a non-solid product such as marble, which contains components that can be dissolved or damaged by acids, these surfaces can be cleaned with baking soda and plain tap water. The application of this baking soda mixture will help to be abrasive without destroying the surfaces. After this application has been completed the surfaces should be allowed to dry for a minimum of 2 hours. At this point we recommend a few products that we carry for the sealing process. As a general rule, look for a penetrating sealer, also called an impregnating product. This is in reference to the porous nature of your surface. Follow the direction on the package or ask us for pointers. We have years of experience in the application of these products and are happy to do the sealing for you. Most of these topical products suggest that you apply directly and then use a clean piece of cloth to spread the liquid being applied. Many of these products require a few minutes of being left on the counter to start seeping in. A clean, dry cloth is then used to wipe off the excess sealing liquid. Depending on the products, reapplication may be required until the counter or area is fully sealed. 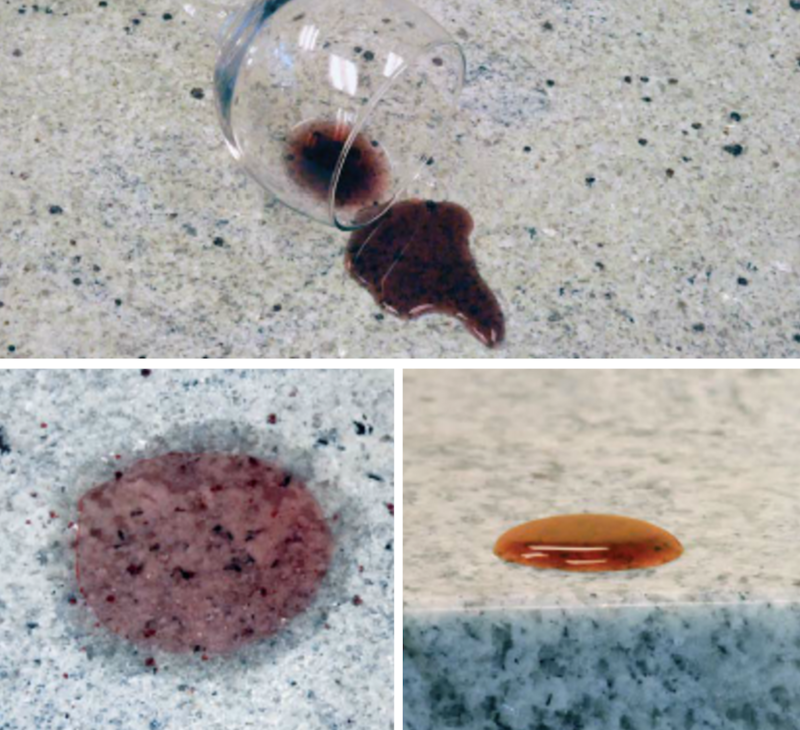 One of the many advantages of using granite is not all granite countertops need to be sealed. If you are looking to see if you need to have sealant applied, first test the surface by putting a small amount of water on and waiting a few minutes to see if it soaks in and leaves a dark spot. 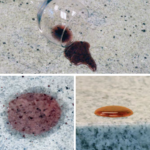 Follow this with a few drops of oil if the surface may have exposure to oil, such as countertops next to a stove. If the area darkens, then a treatment with a granite sealer is a good idea. 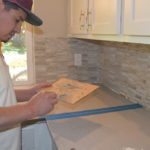 We have a recommended line of products that we find to be the best in the countertop and natural stone surface industry. These products cover everything from sealing to cleaning. 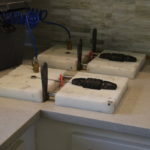 It is important that a product for natural stone that is NSF graded for countertops is selected if the area will have food coming into contact with it. The most expensive and most effective products for this contain fluorocarbon aliphatic resin. The second best active ingredient is silane or siloxane. These are not as good at repelling oil but still do a good job. Silicone or linseed based sealers should not be your go to product unless these are all that you can find. Next you will want to carefully read the label’s directions. Cleaning your granite or other non-acid reactive stone is the most important step. Proper preparation will give you the best final results. We carry a special stone cleaner that is a good step before following the product instructions. Make sure to apply in a ventilated area and to wear gloves. 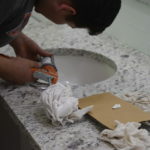 Many of these sealing products require that your custom stone surface be left alone for at least 2 days. Choose when to apply wisely so that the sealer has the proper time needed to cure.